The rocket truck allows one driver and up to three passengers a rare opportunity to experience up to .75 g of acceleration, not to exceed 120 MPH (stock truck w/heavy duty front suspension). 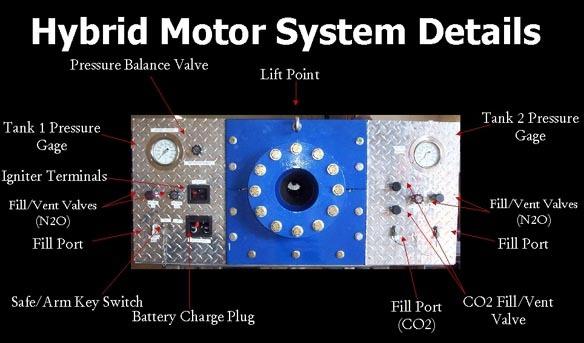 The hybrid motor can be step-throttled from 1500 lbs of thrust to 3000 lbs. remotely. The passenger can operate the hybrid motor using a remote, and the driver controls a lockout (safety switch). The passenger/motor operator is watching the motor operation on a dash-mounted video camera as he/she ignites and throttles the motor. 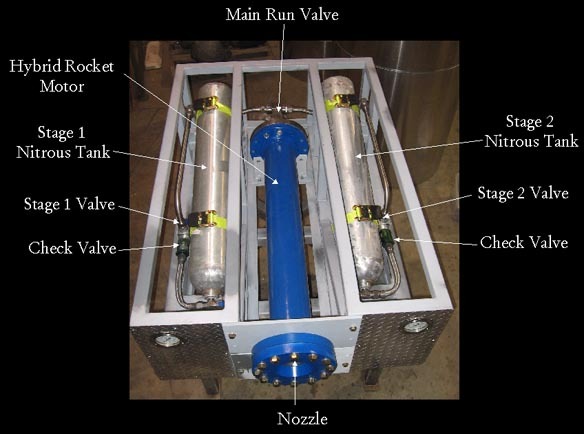 The rocket truck utilizes a skid-mounted proven nitrous oxide and hydrocarbon fuel rocket motor. The Skid also offers a safety protective plate that covers the rear of the truck window. The system was demonstrated at the 2006 X PRIZE Cup event in New Mexico. System controls, fill ports, igniter terminals, vent valves and pressure gauges are positioned on the rear of the rocket motor enclosure. The rocket motor enclosure is designed to isolate the various components in a structure that can withstand the extreme forces applied to it when the motor is fired. 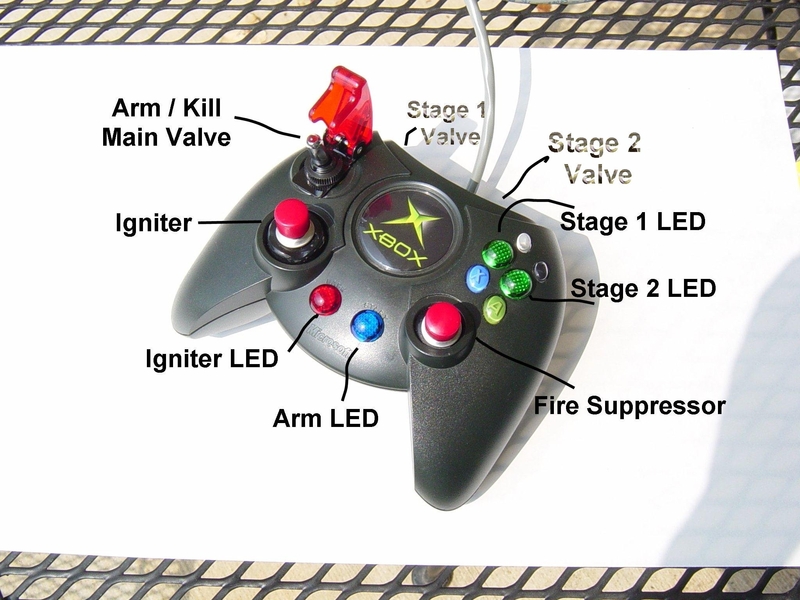 An Xbox game control is used to control the rocket motor.